Hi! So, first things first: You’re breaking the cardinal rule of mixing business with friendship. How’s that working out for you? Anna: We have very similar values and beliefs but we also have different skills. It’s important to work with someone who complements you and brings different things to the table. Lucy: It’s also really important to have a bit of fun. Anna and I socialise outside of work because we’re best friends. We regularly go for a drink and agree not to mention Cuckoo at all. Have you always wanted to be entrepreneurs? Lucy: Yes, we’re both from entrepreneurial backgrounds and so we wanted to run our own businesses one day but we never thought that it would happen so quickly. It really is the perfect time for us, though: neither of us has a mortgage, we’re not married and we don’t have children. If we need to stay at work all night we can. 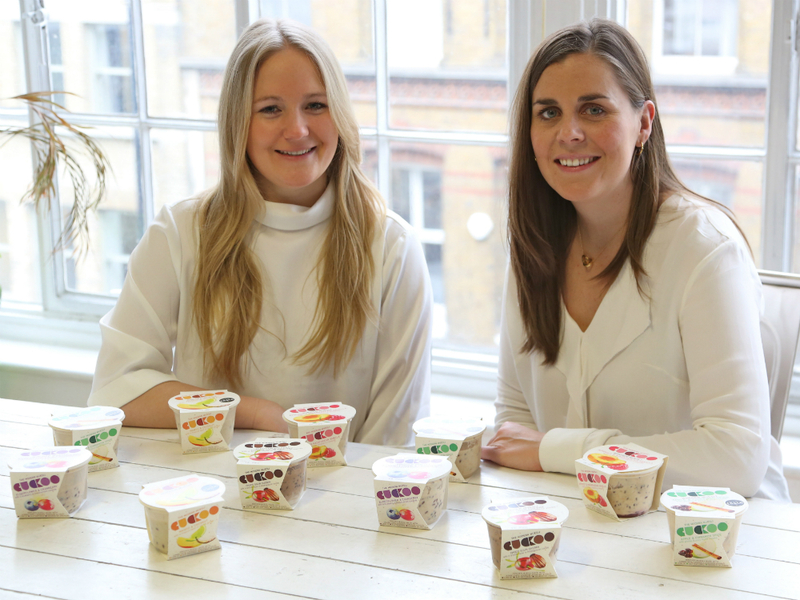 How did you turn Cuckoo Bircher Muesli into a business? Anna: We learnt most of it on the job. We started by searching the supermarkets for brands that we liked, then ringing them up and asking to buy them a coffee and pick their brains for 20 minutes. We managed to learn a lot from people in the industry who were just willing to help us and give us their time. We would certainly do the same for anyone else wanting to start out, we would never have got this far without the help of those companies. Lucy: Persistence. We emailed a company called Jimmy’s Iced Coffee for advice and they replied in capitals letters: ‘PERSISTENCE!’ If you don’t have persistence in this industry you’ll find it hard to succeed. Anna: Listen to other people. If you’re doing something for the first time you definitely need to go with your gut instinct on a lot of things, but in general take advice and do listen to people who have done it before. Is there anything that you wish you had known? Lucy: I’m glad we didn’t know a lot of things! It would have scared us off. Anna: When you haven’t worked for a big company, you’re a bit more naïve and perhaps more creative, so that can work in your favour. You go about things differently and that really makes you stand out. Learn more about the women behind the brand at Cuckoo and check out their Modern Muesli Instagram.